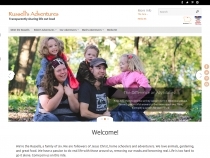 Ice Castles Review by Robin Russell | Minnesota Ice Castle in Eden Prairie! Boston Parks Events, Coupons, Reviews! Minnesota Ice Castle in Eden Prairie! 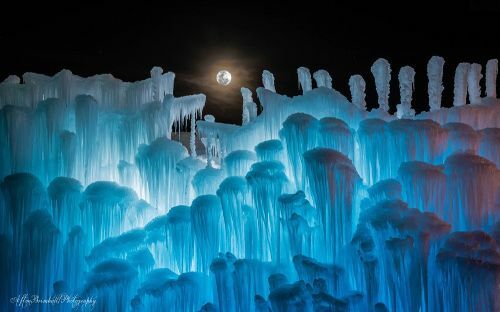 Every winter Mark and I have talked about taking our kids to the amazing Ice Castle in Eden Prairie, MN. Taking Minnesota winters to a whole new level of awesomeness! Definitely a Friday-Funday field trip! Acre-sized, all-ice castle in Eden Prairie, MN. 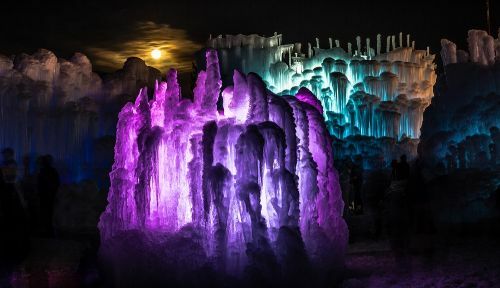 One of four Ice Castles in America. Amazing ice features including archways, tunnels, slot canyons, ice slide, caverns, glacial waterfalls and a frozen throne. Kids and families squeezing, squishing, sliding, stomping and crawling through parts of the stunning, Narnia-like display. Natural frozen ice tones during the day; colorful LED-lit ice set to music at night.